blog.andytang.com: Kali Linux - Installed, what next? Kali Linux - Installed, what next? As The X-Factor returns to UK television, I needed to find something else to occupy my time!! I found a Kali tutorial site called kalitoutorials.net which is great at explaining how and why. 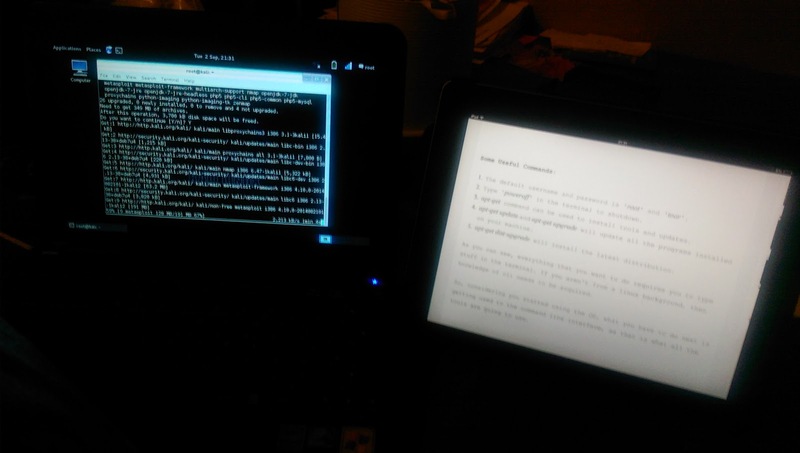 I started with the basic commands, then started to look at how to hack WEP wireless networks. I used the toolsets to see what they can do and how the results are displayed. As my wireless network is running WPA2, some of these tools don't work. My next job is the create a a new wireless network for me to hack. I have a number of wireless routers and access points I can use. Once I've set one up, I'll write a step-by-step guide with what I've learnt. I will state now, DO NOT hack any wireless networks that are not yours, or you do not have the expressed permission of the wireless network owner.